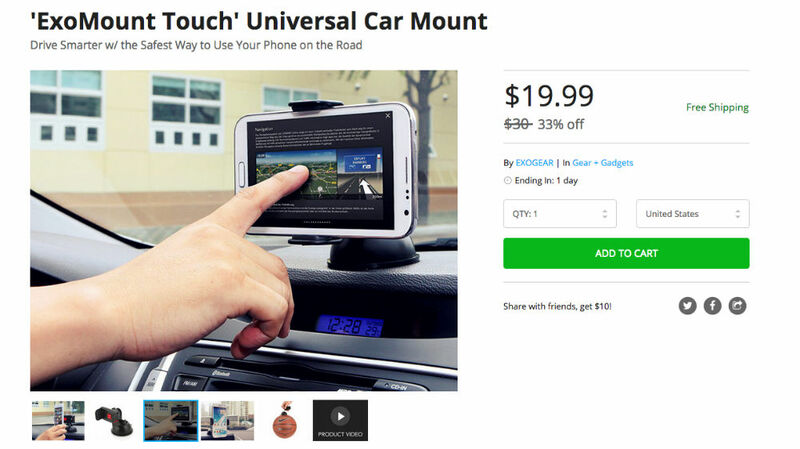 The ExoMount Touch car mount is currently slashed to just $19.99 in the DL Deals store. That’s roughly $10 off the full price, and still cheaper than Amazon. That’s a solid deal for those of you looking at car mounts for your oversized smartphones. The ExoMount features a one-touch attach and release setup for phones, able to fit even the big boys such as the Galaxy Note 4 and Nexus 6. With a 360 degree swivel and easy rotator, you should have zero issues setting this up nicely in your car. If the ExoMount is the perfect little accessory for your vehicle, follow that link below.